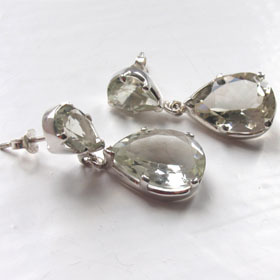 These green amethyst gemstone earrings are clear and brilliant and have the soft sage green colour which is so easy to wear all year round. 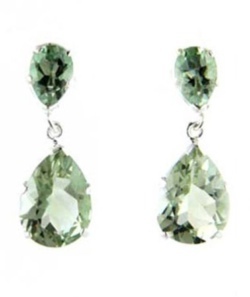 Team up with one of our sparkling green amethyst pendants. 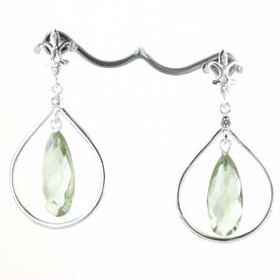 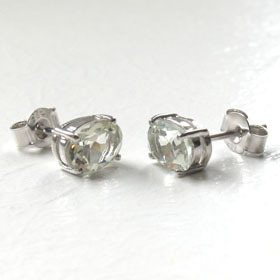 Green amethyst earrings also look fabulous with seraphinite jewellery. 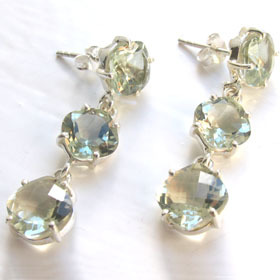 Our green amethyst jewellery collection also includes green amethyst bangles.